Lower Salthill: where the assault took place. Galway City Tribune – Gardaí have appealed for witnesses to contact them as regards a ‘one punch assault’ in the aftermath of the night of the Ed Sheeran concert last Saturday night, an incident that left a man unconscious on the street. 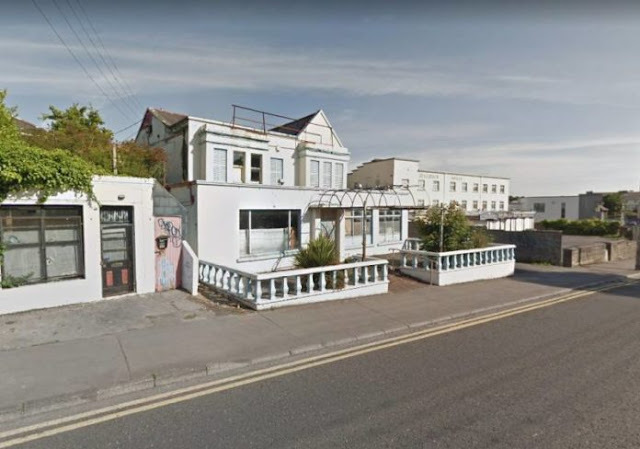 Three couples had been walking from the concert at about 1am on Saturday night/Sunday morning at Lower Salthill when they were confronted by two men and two women who were drinking on the street. The victim – a man in his late 30s from Mullingar – was punched in the head by one of the drinkers and fell backwards hitting his head off the path. According to eye-witnesses – who said that the assault was ‘completely unprovoked – the man was then kicked on the ground before the emergency services were contacted and the victim was rushed to hospital by ambulance. He is understood to have ‘come around’ in the ambulance but was not released from University Hospital Galway until Tuesday after being initially diagnosed with a small bleed in the brain – he is since understood to have made a good recovery. The incident occurred on the street at the old Oasis and Warwick Hotel area – the culprit is understood to have left the scene on foot. Gardaí are reviewing CCTV.